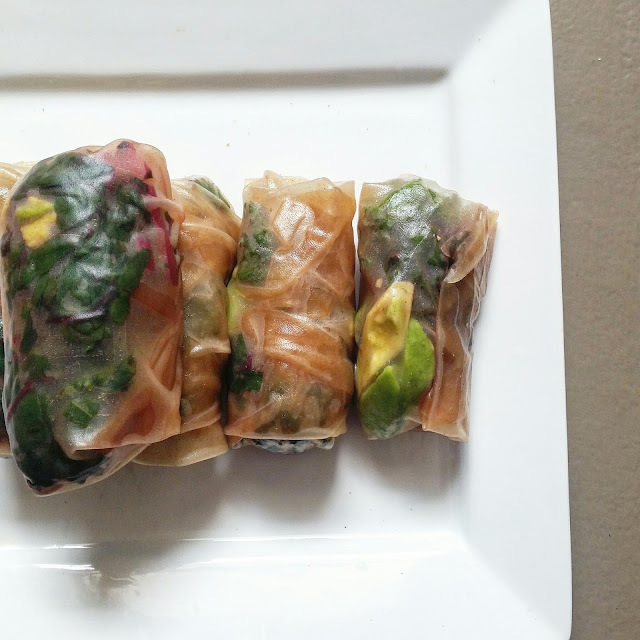 Spring rolls are a great way to get in your greens, they are healthy, delicious and fun to eat. The last two times I made these I dipped them in ume plum vinegar but you can experiment with all kinds of dips: peanut sauce, dijon mustard, soy sauce, so much yumminess in one meal. I bought swiss chard and kale at the farmers market so I filled the spring rolls with these greens plus an avocado. It was great. I know I just posted a spring roll recipe but why not another one? 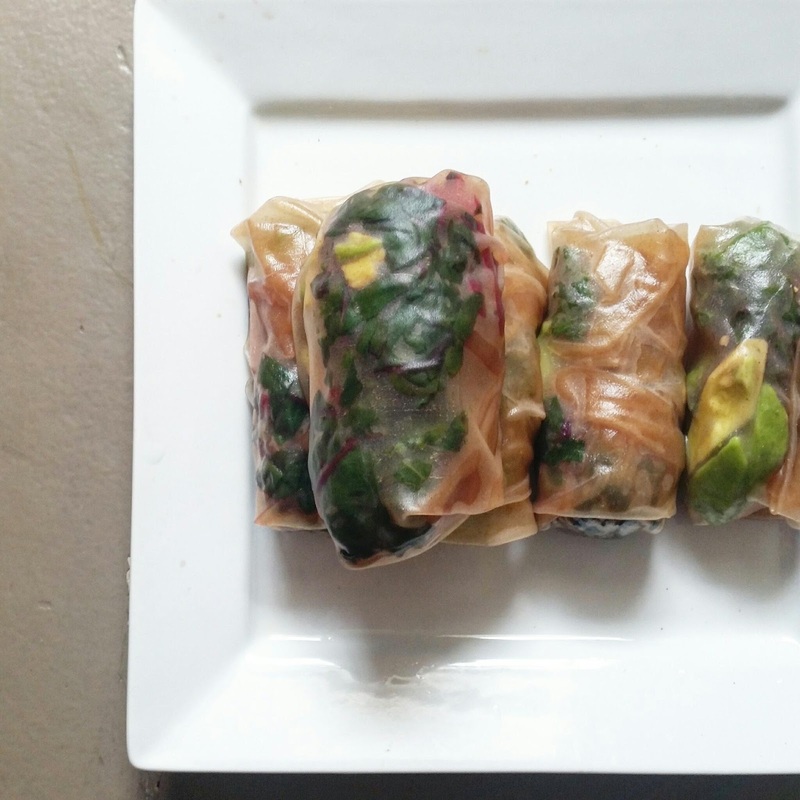 You can never have too many spring roll recipes, especially ones that don't involve frying. 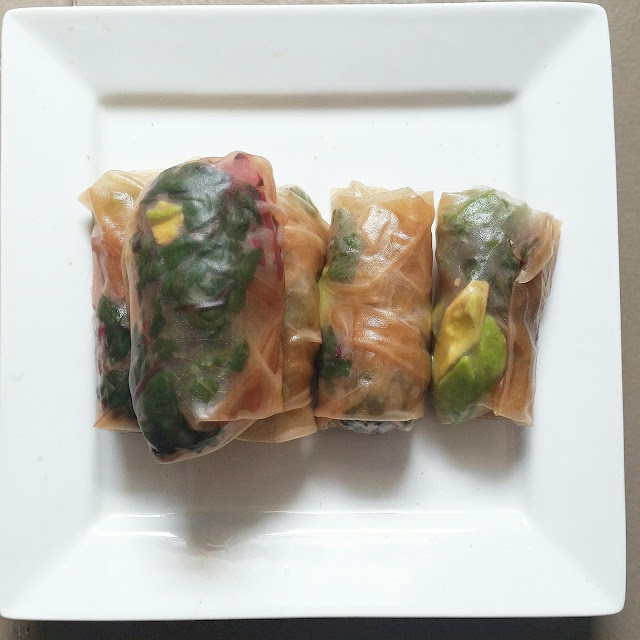 Some people had questions last post as to how I make these, do I steam them etc but all I do it soften the spring roll wrappers in warm water and then they are able to be filled and consumed. You don't need to steam or fry these rolls unless you really want to but softened spring rolls are sticky and delicious. They don't really taste like anything by themselves so they take on the flavor of what you fill them with and dip them in. I can't explain why they are so yummy though because they are kind of strange having to be softened and sticking to everything but they are fabulous. I always order them as an appetizer at thai or sushi restaurants but these are usually fried. I also love thai summer rolls, which are closer to what these spring rolls are. The spring roll wrapper also stretches so you can stuff it with alot of veggies or veggies and some protein like tofu. When you fold them, make sure you tuck in the sides so they look more like chunky sausages. If the brown color is throwing you off, buy the white rice ones; to me they all taste the same. Handle the wrappers with care when they are still hard because they can crack; when you soften them, they are easy to rip or poke holes in so be gentle. I buy these wrappers in the Asian or international section of the grocery store; you will find thai and chinese food ingredients as well as Nori rolls for sushi and all the sauces, soy, umeboshi paste etc. I shop for these wrappers at Whole Foods. Venture into the world of the unknown when it comes to food, you have NO idea what kind of culinary doors will open for you. And you have no idea what your taste buds will love until you try new foods. Process: Steam the swiss chard and kale leaves until they are bright green. Cut the avocado into cubes. 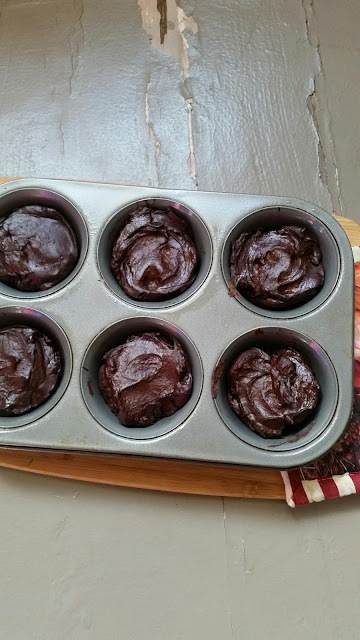 Fill a round cake dish with warm or nearly hot water and put a rice wrapper in, making sure to press it into the water so it is fully submerged. It will soften within 30-40 seconds. Take it out of the water, shaking the excess water off and lay on a plate or cutting board. Submerge another rice wrapper in the water. Put a few pieces of avocado, swiss chard and kale leaves on top of the rice wrapper and fold the wrapper around the ingredients. Tuck in all the ingredients, tuck in the sides of the wrapper and roll into a small log shape (see pic below). 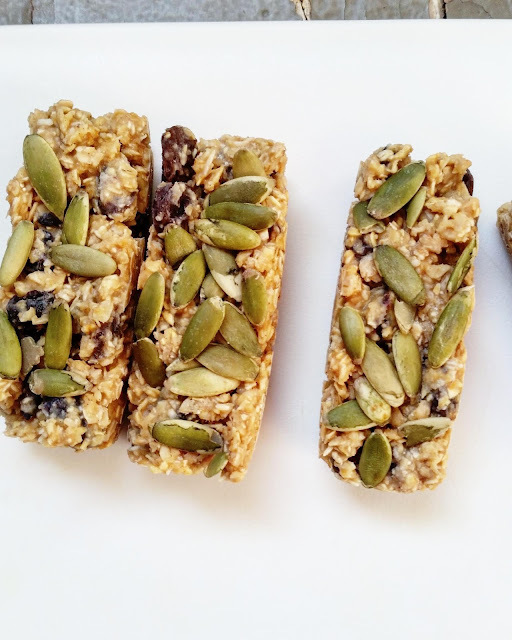 Keep softening the wrappers and filling them until you run out of ingredients. Serve on a plate with a dip of your choice. Ume plum vinegar is very salty, similar to but healthier than soy sauce. You can also dip the rolls in coconut aminos or dijon mustard. For me, something with vinegar in it does the trick. You can also make guacamole and dip in that. It's awesome to make your favorite restaurant foods at home so you can save money and satisfy a craving without having to go out. 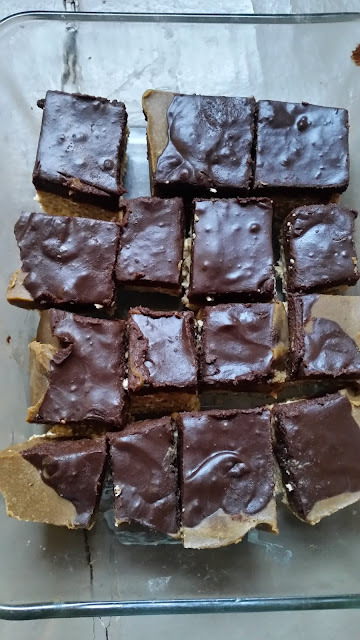 Want my recipes delivered right to your inbox? Click here to sign up.